Teen | Narration by George! Welcome to a new podcast for this week with an intriguing title. What do diets, destruction, and deductions have in common? They are all representative the wide range of audio books which have been released this year by Narration by George. 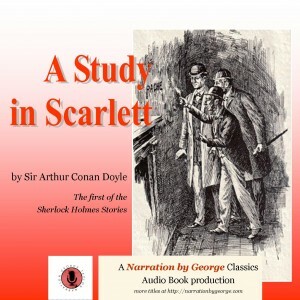 Take a listen to samples from Slimmer (newly released), The Destined (saving-the-world action & adventure), and A Study in Scarlet (the classic Sherlock Holmes mystery). Then decide! Decide which one of these books you would like to download FREE. Yes, I said FREE. No money. Just audio book heaven. Decide and then send me an e-mail or direct message on Facebook or Twitter and tell me which you’d like to have! I’ll send you instructions! 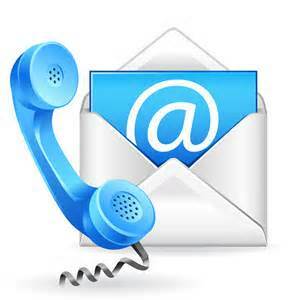 Send Narration by George an e-mail. This entry was posted in Action-Adventure, Classic Literature, George Taylor, Glenn Eidson, Horror, Narration by George, Reading, Regina Puckett, Samples, Sherlock Holmes, Short Story, Sir Arthur Conan Doyle, Suspense, Teen and tagged acting, action, adventure, audio books, audiobook, audiobooks, books, excerpts, fiction, Narration by George, Novel, novels, Sherlock Holmes on June 15, 2016 by admin. The Holiday Season is upon us. Thanksgiving arrives next week. Christmas comes in about 5 weeks. Are you ready? 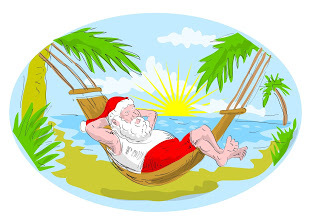 Do you have your audiobooks downloaded for your holiday traveling? 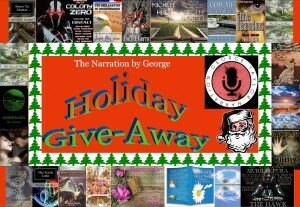 If not, check out a couple of suggestions and learn about my audio book Holiday Give-Away for December. You’ll also hear more from an interview I did with Anne Baxter Campbell! This entry was posted in Anne Baxter Campbell, Audio Books, Christmas, Christmas, Narration by George, Teen and tagged Anne Baxter Campbell, Audio book, audio books, audiobook, audiobooks, Birth of Jesus, Christmas, contest, excerpts, give-aways, holiday, Narration by George, Novel, novels, sale, Scrooge, stories on November 18, 2015 by admin. 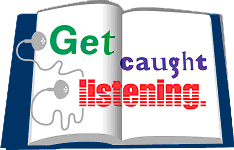 We continue this excursion into the world of audiobooks produced by Narration by George by looking at the next group of books we’ve been featuring on Twitter (@narrationbygeo) and Facebook. Plus there is the announcement of an important new title and a special sale with only a few days left before it expires. Join me for this review of audiobooks with excerpts that are unique to this podcast! Don’t forget, this podcast is new every Wednesday. You can subscribe through iTunes to each and every episode. Click here. This entry was posted in Action-Adventure, Anne Baxter Campbell, Audio Books, Becky Wooley, C. Q. Scafidi, Christmas, Christmas, Clerical Crime, Dee Malchow, George Taylor, Historical, Murray Pura, Mystery, Narration by George, Patti J. Smith, Poetry, Reading, Regina Puckett, Romance, Samples, Teen and tagged amputation, Anne Baxter Campbell, Audio book, audio books, Becky Wooley, books, C Q Scafidi, Christmas Story, clerical crime, Dee Malchow, historical, Murray Pura, Narration by George, Novel, novels, Patti J Smith, poetry, Regina Puckett, romance, samples, satire, spiritual ideas on July 28, 2015 by admin. In this podcast, I play excerpts from the books which have been featured in the past few days. This is something we’ll do until the 41 Audiobooks in 41 Days ends sometime in August. I hope you find something that will tickle your ears!!! Enjoy! This entry was posted in A Christmas Carol, Audio Books, Charles Dickens, Classic Literature, George Taylor, Historical, Joseph Max Lewis, Narration by George, Patti J. Smith, Poetry, Regina Puckett, Romance, Samples, Teen, William Tasch and tagged A Christmas Carol, A Mended Heart, An Opened Heart, Audio book, audio books, audiobooks, Backslide, books, Charles Dickens, devo, devotional, fiction, historical, john hancock, literature, Narration by George, Novel, novels, poetry, romance, Scrooge on July 7, 2015 by admin. 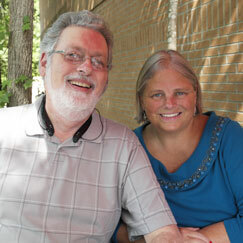 My wife and I met up with Sue Badeau outside Atlanta one Saturday afternoon. She graciously agreed to be interviewed about her work with adoptive and foster children and as a writer. 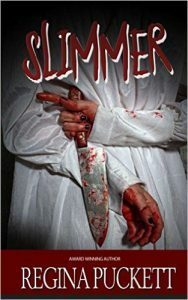 We talked about her involvement in the Sweetland series from Helping Hands Press and I play some excerpts from the two books I have recorded for her. Summer in Sweetland: Never Too Old and Roots and Wings at Loonstone Lake: Call of the Loon. Thank you, “Dr.” Sue Badeau, for a wonderful Saturday afternoon and a fun interview. 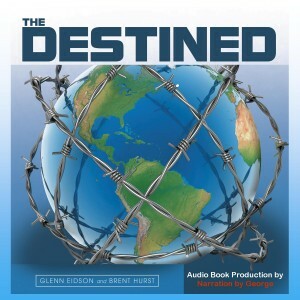 This entry was posted in Adoption, Audio Books, children, Foster Care, George Taylor, Narration by George, Relationships, Romance, Sue Badeau, Teen and tagged adoption, Audio book, audiobooks, children, commentary, excerpts, foster care, relationships, Sue Badeau, writing on May 27, 2015 by admin. This is the second week exploring the merger of audiobooks with spiritual ideas. While we may usually think of Bibles, books about the Bible, or devotionals containing spiritual ideas, there are other forms of writing which can be rich in spiritual ideas. In this episode, I take a look at two novels which explore spiritual ideas using the story of the birth of Jesus as their platform. 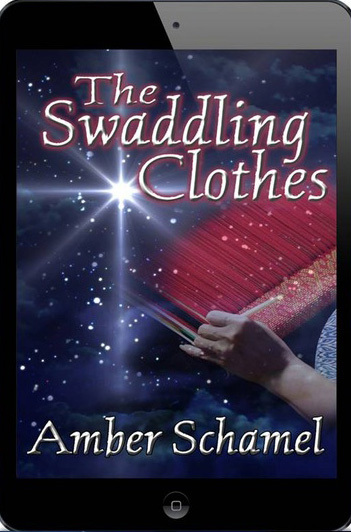 Amber Shamel’s The Swaddling Clothes is a historical novel inspired by a Veggie Tales episode. 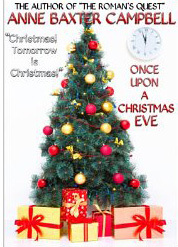 Anne Baxter-Campbells Once Upon a Christmas Eve tells the story of a teenage who needs to learn a lesson or two. You’ll hear excerpts from both of these books. This entry was posted in Amber Schamel, Anne Baxter Campbell, Christmas, Christmas, George Taylor, Historical, Narration by George, Samples, Spiritual Ideas, Teen and tagged Amber Schamel, Anne Baxter Campbell, Audio book, audiobooks, Birth of Jesus, Christian, Christianity, Christmas, Christmas Story, excerpts, forgiveness, gifts, holiday, Jesus, lessons learned, novels, spiritual ideas, teens on April 21, 2015 by admin.